A virtual learning environment bringing the tools for your daily school work. With learner-centric approach and joy from Finland to the world! Enroll in as a betatester to get the renewed version of Dreamschool during the autumn 2015. The Dream&Hope Association is developing the methods of the best education in the world by endorsing the trust between people and curiosity of an individual. The Dream Platform, is developing open source tools, libraries and services which the Dreamschool service is based on. For you, the dreams and hopes, methods and tools, are available in Dreamschool service! Instead of traditional teaching, one should focus on supporting the growth and learning of the child. Dreamschool is a practical tool for this learner-centric approach. Flexibility of the tool allows you to spend more time on face-to-face communication - learning together! Dreamschool is a web-based learning environment and available anywhere, anytime, with any device with internet browser. By login in to Dreamschool, you automatically log into other services you have in use. Only one password to enter.. Useful Dreamschool specific tools + educational games, learning materials and environments from other providers help to tackle the daily schoolwork challenges. We can make your existing learning environments and tools to be integrated part of Dreamschool. Dreamschool is about joy of learning through easiness of use - regardless of age or skills. We already have almost 100 000 users in Dream Platform. And getting more every day! Already interested? Contact us to get Dreamschool into use. Or read further to learn more from the experiences of other users. What were the needs behind the system, how has Dreamschool influenced to the ways-of-working and what have been the biggest benefits for teachers and pupils. Following new ways-of-working are generated and inspired by teachers to tackle their daily challenges in schoolwork. Solutions are now enabled in Dreamschool. Read more about the experiences from the users, and keep in mind that they are possible for your school and classes too. An electronic portfolio and a central hub where students can collect all their materials with web-based tools. Work in the clouds! PostBunny is an easy to remember and quick point to access Google Gmail. From the smallest pupils to older students and adults, we all enjoy the freedom of single-sign-on to all services. 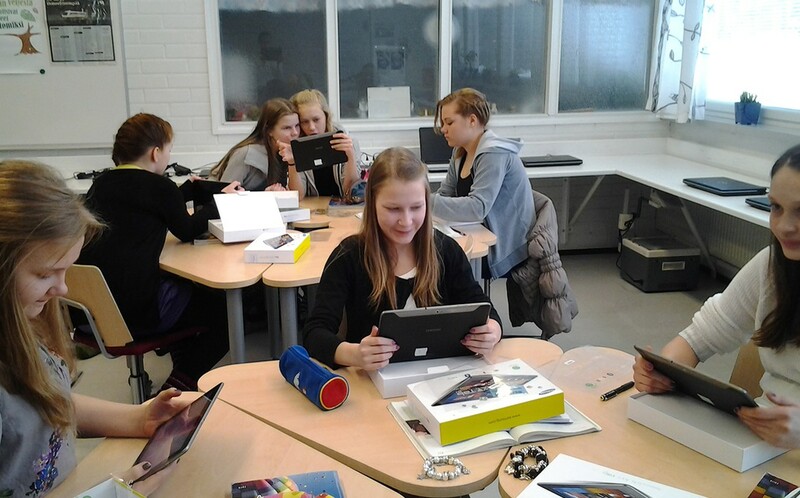 The first version of Dreamschool service was created as part of national Dream School Project in Finland. Project was officially started in 2011, due to a need to create parallel models for the teaching methods at that time. We needed models that enable integration of familiar, everyday digital tools into the learning process, thus renewing education starting from the students’ perspective. The services and tools that meet the needs of the schools have been developed in collaboration with teachers, researchers and innovative businesses. Like learning, also the development of Dreamschool service is continuous. Service continues to grow and meet the changing needs of educational world. Don't hesitate to contact us on any questions you may have. We'd love to show you Dreamschool in action or tell you more about it.